On December 23rd, 2013, our world stopped turning. We went to our regularly scheduled doctor’s appointment, where Heather was to be checked for signs of mirror syndrome and the baby was to be checked for heart beat. This was not our first such appointment, so we knew how they go. After a few minutes in the doctor’s office, we knew something was wrong. The Doctor kept checking for a heart beat on her mini Doppler, but was unable to find the sound. She switched to her ultrasound machine to see if she could visually find the heartbeat. After only a few seconds, the doctor determined there was none. She sent us immediately to Maternal Fetal Medicine for confirmation. They took us right in, only to confirm the worst news we could expect to hear. Our baby had passed away in utero sometime that morning. The hours that followed this were a whirlwind. Our parents met us at the hospital to support us. Afterhours of waiting, they took Heather back for an emergency C-Section. The hour in the operating room felt like days. After the baby was born, the doctor baptized the baby on the spot. 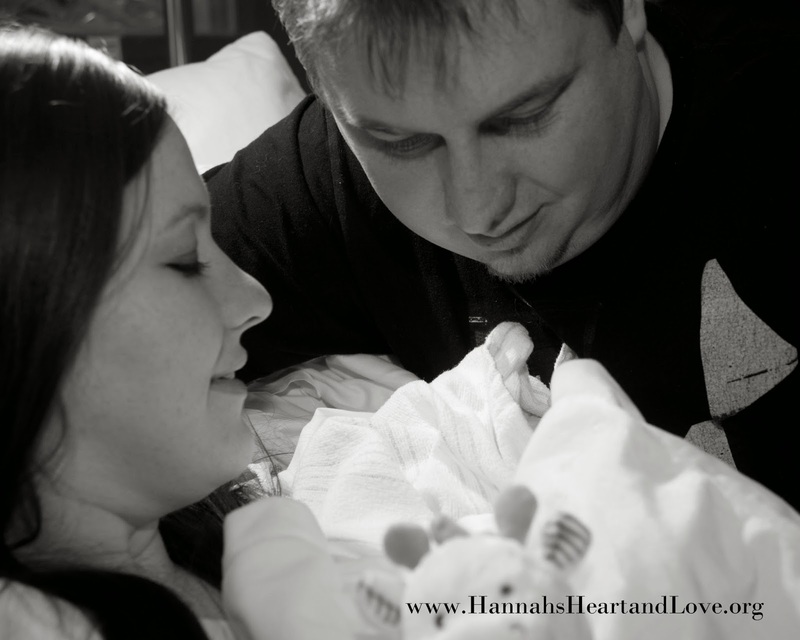 Our daughter, Hannah Sue Kimble, was born and passed away on December 23rd, 2013. She weighed just 1 pound and 3 ounces, and was 10 inches long. She will receive a birth certificate. There was no warning, and no words that can express the difficulty or the pain we have gone through and are going through. The only thing that we have been able to feel that is positive in this situation is that the Hannah did not suffer and that we were not forced to make any difficult medical decisions. We know that Hannah is in heaven with her Savior and that she has been made whole.